With the recent signings of Stevie Stone and the Miami-based hip hop group ¡Mayday! to Strange Music, Inc., the record label is reaching new territories and fan bases around the entire country. While Stevie Stone was a well-known accomplace of Tech N9ne on stage, ¡Mayday! seemed to have surprised some of the Strange Music fans and have made them curious to find out what Tech and Travis saw in the up-and-coming group. 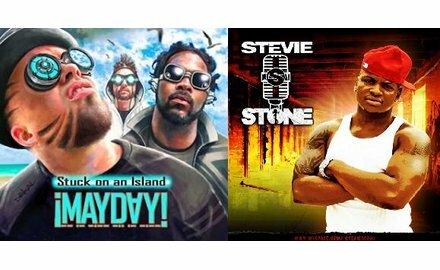 Now that most of you have listened to songs from Stevie Stone and ¡Mayday!, we want to know what you think! Let us know in the poll who you are most looking forward to hearing the debut album of the newest members of Strange Music. Also, let us know your overall impressions of these signings in the comment section below! Whose debut album with Strange Music are you most looking forward to?